We're all familiar with John Carpenter's filmography. He's responsible for writing and directing countless cult classics from Halloween to Big Trouble in Little China to The Fog. The soundtracks that accompany these iconic films have become synonymous with horror and suspense – the piercing electronic overtones that raise the hairs on the back of our necks and haunt our dreams. What many people don't realize is that John Carpenter is also responsible for crafting these creepy sounds, having composed the vast majority of his films' soundtracks. But Carpenter has a reputation for being somewhat elusive about the synth sounds he created, often leaving much to be desired in his interviews on the subject by synth nerds desperate to emulate his genius. 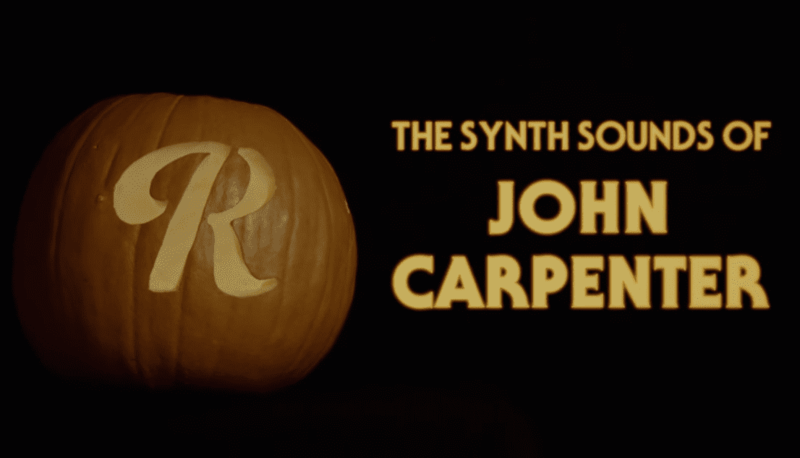 Here at Reverb, we wanted to get into the holiday spirit by providing a window into the world of John Carpenter's compositions. Justin DeLay of our Stranger Things video walks us through the synthesizers and keyboards that Carpenter used for his classic tracks and demonstrates how he used them.